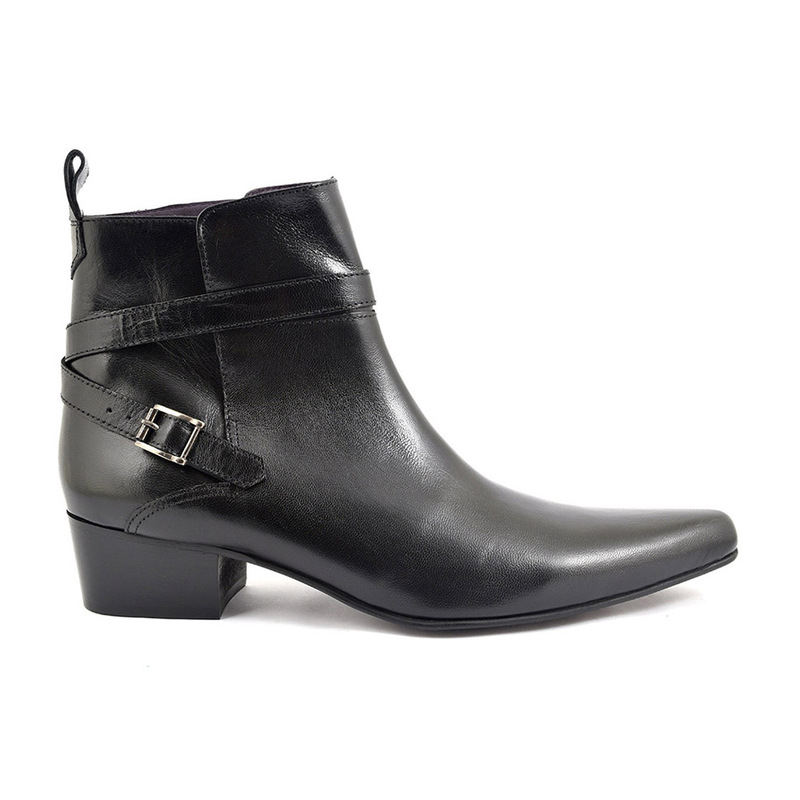 A black buckle cuban heel boot with a pointed toe. The strap crosses at the back and the heel is 4.5 cm high. 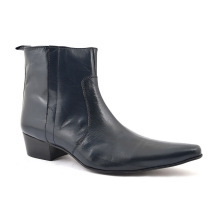 This beatle boot is a pull on and looks very cool with sharp tailored trousers. A superb mens black buckle cuban heel boot for a cool vibe. 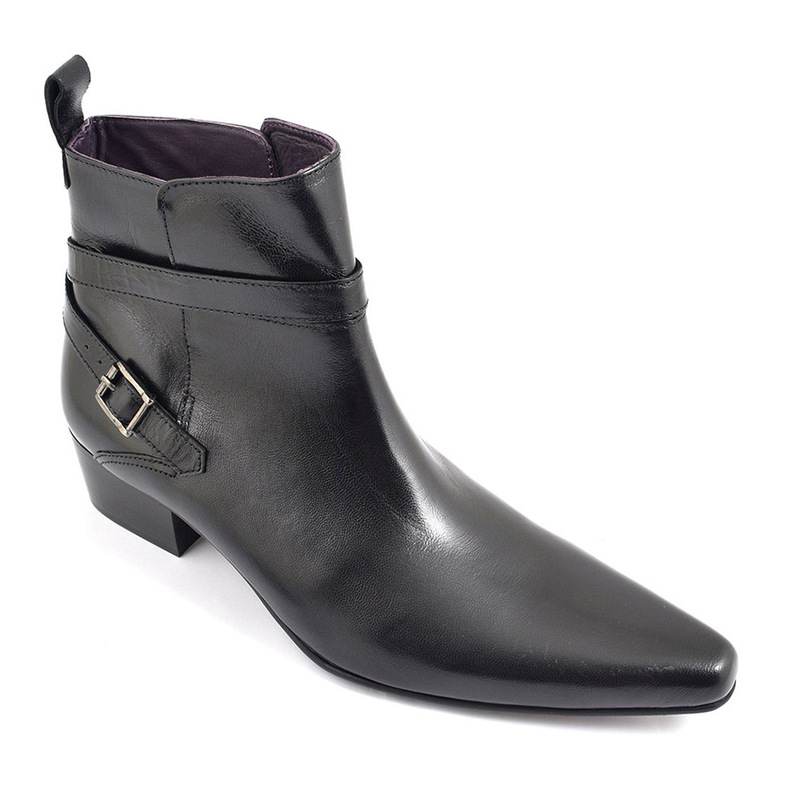 You couldn’t ask for a more stylish pointed toe boot with a heel. Guys, did you realise that men in heels in no new phenomenon. Way back in the 9th century it was macho for men to wear heels when fighting and on horseback. Yes it was. This look was embraced by Europe and taken further by the likes of Louis XIV who stood tall(er) in his 10cm high heels. Men wore high heels in his court and only they were allowed to adorn their heels with expensive red dye. Louboutin has continued this trend as only the really wealthy can afford these red soled shoes too. 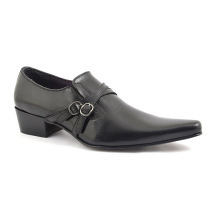 Of course, the fact that not much could be done in mens heels was a sign of wealth at the time. However, as women began to wear these and the look became feminised, men took to wearing the more traditional lower heels we see today. 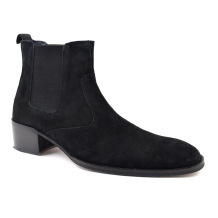 Super stars like The Stones and The Kinks took to wearing chelsea boots and a huge following began. 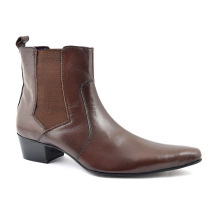 The fact the cuban heel came back into style consciousness is down to The Beatles who added this higher cuban heel onto the mens chelsea boot. Bang. The trend came back in vogue. The pointed toe vibe was very cool and thees boots also were called winkle pickers or beatle crushers!! There are living legends who wear mens cuban heel boots like Brand, Noel Fielding and bands like The Horrors and The Kills. You can rock an indie vibe with skinnies and a leather or just a T. Equally those can look really sophisticated with a sharp silhouette. 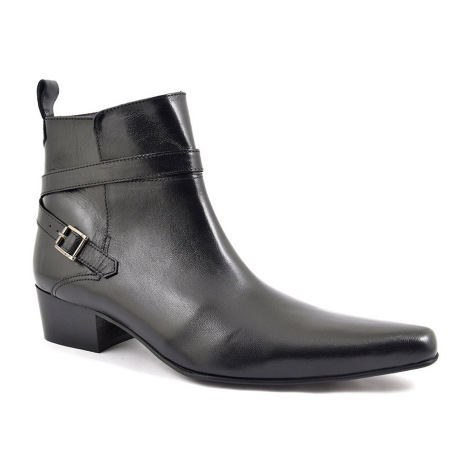 However you style your black buckle heel cuban heel boots, the only thing you really need is to be yourself. 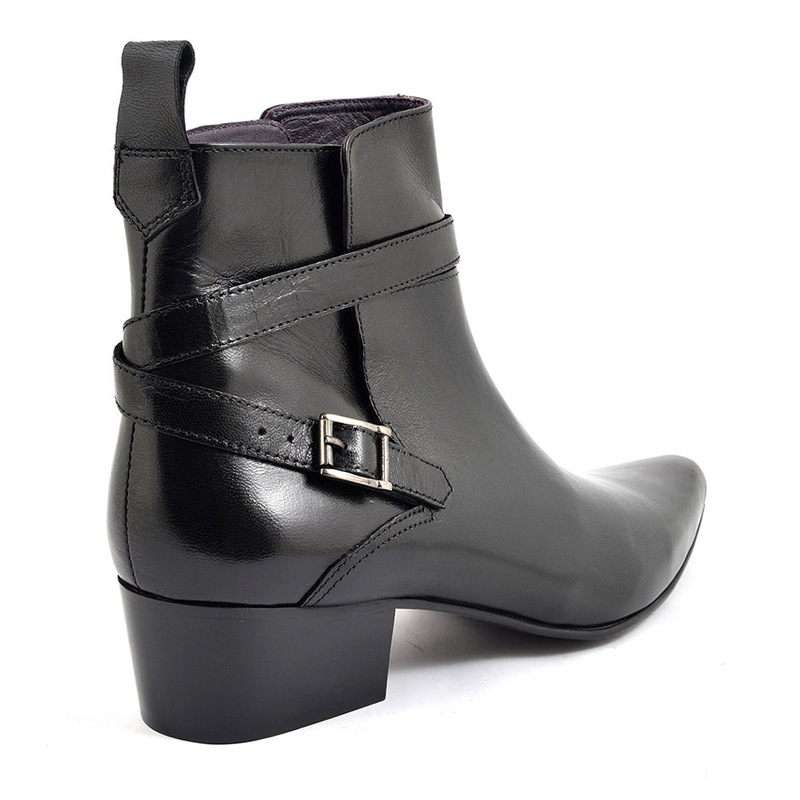 Be the first to review “Alfredo Black Buckle Heel Boot” Click here to cancel reply.